Bring your father to Fort William Henry during Pathways Through History Weekend! 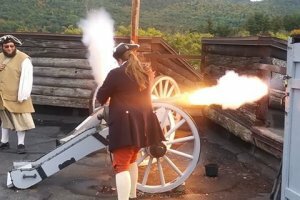 See cannon and musket firing demonstrations and learn the history of the French and Indian War at Lake George. Reduced admission for the weekend and all Fathers visit for free.